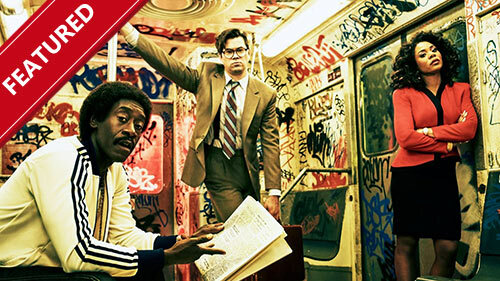 This edgy comedy, starring Don Cheadle, Andrew Rannells and Regina King, goes back to 19 October, 1987 - aka Black Monday, the worst stock market crash in the history of Wall Street. To this day, no one knows who "caused it" ... until now. This is the fictional story of how a group of outsiders took on the blue-blood, old-boys club of Wall Street and ended up crashing the world's largest financial system, a Lamborghini limousine and the glass ceiling. Bobby Cannavale (Boardwalk Empire) joins the cast this season as a series regular as Irving, a laconic, no-nonsense used car salesman. Recurring guest star BD Wong has also been upped to series regular for his role as Whiterose, the leader of the Dark Army, a Chinese-based hacking organisation. They are everywhere on Facebook and Instagram - photos of friends who really shouldn't be wearing that outfit. But now there's someone who can help. Celebrity stylist, June Ambrose, simply can't resist bringing her distinctive styling skills to the people who reach out to her through her active online community. In each episode, June scours her social media universe for a person in need of a fashion overhaul. Through numerous meetings, she resolves her clients' issues around fashion and body image, and changes their lives forever by helping them to discover their best personal style. Jamie Foxx returns as host and executive producer for Season 2 and actress, model and writer Corinne Foxx - his daughter - joins the show as the new deejay. Beat Shazam is an interactive game show in which teams of two race against the clock and each other as they attempt to identify the biggest hit songs of all time. In the end, the team with the highest score will outlast the competition and go against Shazam, the song identification app, for the chance to win up to 1-million dollars. 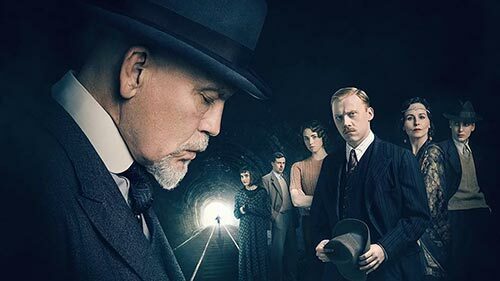 In her fourth Agatha Christie adaptation, writer Sarah Phelps continues to explore the 20th century through the work of Britain's greatest crime writer. The year is 1933 and a killer stalks Britain, known only as A.B.C. They strike in a methodical pattern and leave a copy of the ABC railway guide at the scene of each of murder. As Poirot (John Malkovich) attempts to investigate he is thwarted on every front; by a police force that no longer trusts him, a public that no longer adores him, and an enemy determined to outsmart him. If Poirot is to match his most cunning nemesis everything about him will be called into question; his authority, his integrity, his past, his identity. On the other hand her childhood best friend, Ali, has only recently figured out what he wants to be in life after turning away from his father's military dreams for him. Alton Brown and a new batch of Iron Chefs return for another round of heart-stopping culinary action. The competition begins when seven chefs are forced to show their resourcefulness by using a single protein in as many ways as possible, before two chefs go on to battle it out in the secret ingredient showdown. Then, as one chef says goodbye, the remaining six are challenged to craft innovative sandwiches. Centres round five characters living in Pasadena, California: roommates Leonard Hofstadter and Sheldon Cooper, both physicists; Penny, a waitress and aspiring actress who lives across the hall; and Leonard and Sheldon's equally geeky and socially awkward friends and co-workers, mechanical engineer Howard Wolowitz and astrophysicist Raj Koothrappali. Leonard and Sheldon are brilliant physicists, the kind of "beautiful minds" that understand how the universe works. Wizards in the laboratory, but socially inept outside of it, none of their genius helps them interact with people, especially women. In the Season 4 premiere, "The Robotic Manipulation": Penny finds herself along for the ride on Sheldon's first date ever; while Wolowitz finds a new use for a robotic arm.